The brick cottage located at 93 McConochie street is a simple, symmetrical single storey brick cottage located three blocks south of the main street of Coleraine. 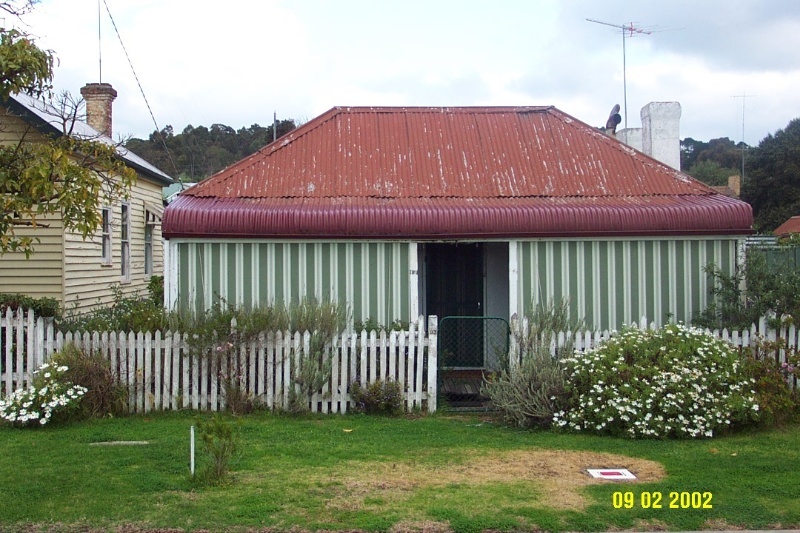 The cottage is a simple painted brick cottage with a skillion attached to the rear of the building. The low roofs are hipped with no eaves and a bull-nose verandah runs along the facade of the cottage, supported by simple timber posts with capitals. The cottage is in fair condition and retains a fair degree of integrity. The brick cottage at 93 McConochie Street is of historical significance to the township of Coleraine and the Southern Grampians Shire. The cottage is in very good condition. The dwelling at 93 McConochie Street is a typical example of early 1860s brick cottage construction. The cottage is located toward the extreme edge of the allotment, addressing McConochie Street. The cottage is of four rooms, with a skillion attached to the rear. There are three chimneys, and a low corrugated iron hipped roof with no eaves. The brick work is painted and a bull-nose verandah runs across the front facade. The windows are typically twelve pane double hung sashes, symmetrically arranged on either side of the front door. This early cottage (visible in 1866 Bryans Creek photos) was the first home of the Hutchins family who migrated from Alton England to Port Philip district in 1852, settling in Coleraine in 1855. This home was built for John Hutchins and his new bride Mary Ann Patching in circa 1864. The couple raised 13 children in this tiny cottage. Mary Ann Hutchins was the Coleraine mid-wife until her death in 1926. Her husband John Hutchins was a farm labourer at Koonongwootong and later a bullocky.